You will have seen on the news that outbreaks of flu have increased this winter. The Health Service says that people with learning disabilities are at risk and have announced that free flu jabs are available to protect this group of people. Please contact your GP as soon as possible to get yourself protected. 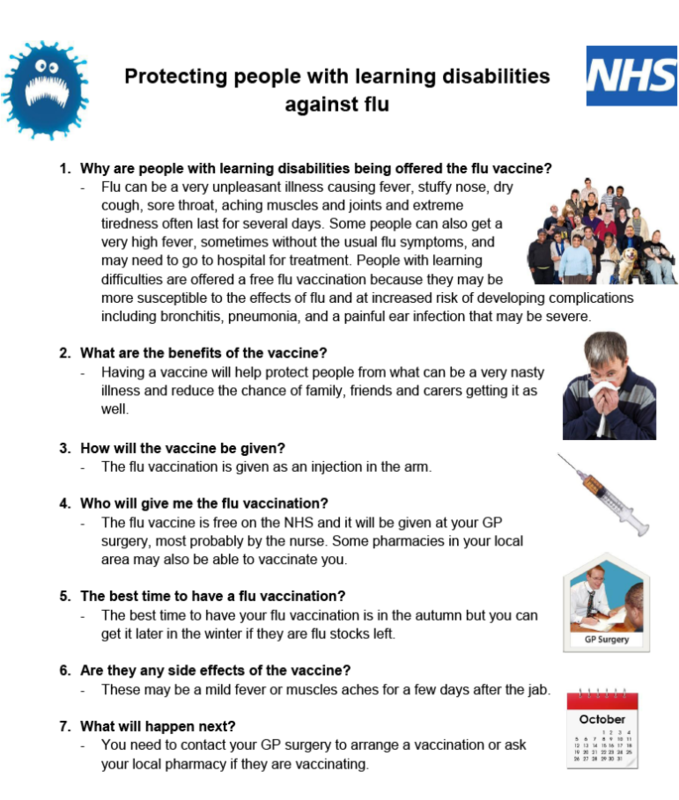 Remember, if you are the main carer for a disabled person, you are also entitled to a free flu vaccination.